"We are in the middle of a genuine mystery here!" The Orchard has released an official trailer for a strange holiday existential comedy titled Holly Star, the latest from filmmaker Michael A. Nickles (XII, Just Peck, Playback, Swing Away). The film is about a broke puppeteer who returns home for the holidays and gets caught up in a treasure hunt with her paintball-obsessed best friend, her tango-dancing grandmother, and a childhood sweetheart. Yeah, that's the premise though the footage is a bit more odd than that. Holly Star stars Katlyn Carlson as Sloan, along with Brian Muller, Teya Patt, Gary Galone, Elaine Adam, and Erik Van Wyck. The comedy is so dry and awkward, and the plot is a mix of 10 ideas. Check it out below. Sloan (Katlyn Carlson) returns home for the holidays and gets caught up in a mysterious treasure hunt with her paintball-obsessed best friend, her tango-dancing grandmother and her childhood sweetheart. Holly Star is both written and directed by American actor / filmmaker Michael A. Nickles, director of the films Desert Winds, Do You Wanna Dance?, This Is Not a Film, XII, Just Peck, Playback, and Swing Away previously. This hasn't premiered at any film festivals or elsewhere yet as far as we know. 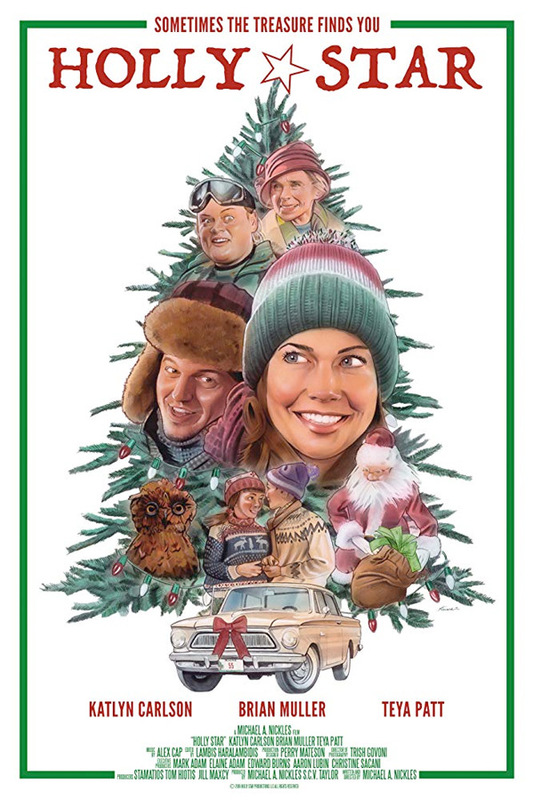 The Orchard will release Nickles' Holly Star direct-to-VOD starting December 4th coming soon. Anyone interested in this?